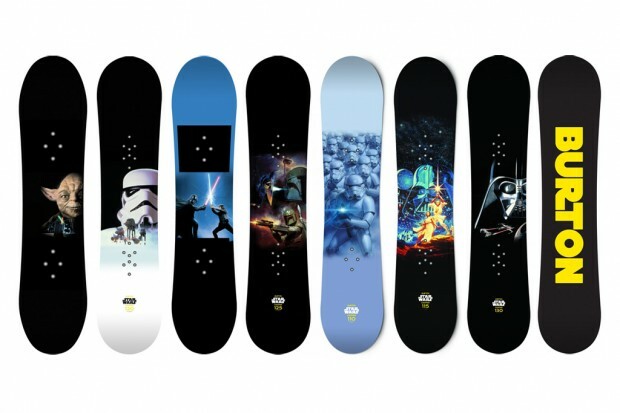 This coming season, Burton will feature custom Star Wars graphics on its latest range of snowboards. The popular Chopper boards are available in every size for all to enjoy and are part of a special collaboration between the groundbreaking film and the snowboard label. Each board includes the Burton name in a special Star Wars font on the front and eight exclusive styles on the bottom. The collection includes movie favorites like Stormtroopers, Darth Vader, Boba Fett, Yoda and more. Check back for official release information, but expect select snowboard retailers to get these soon.